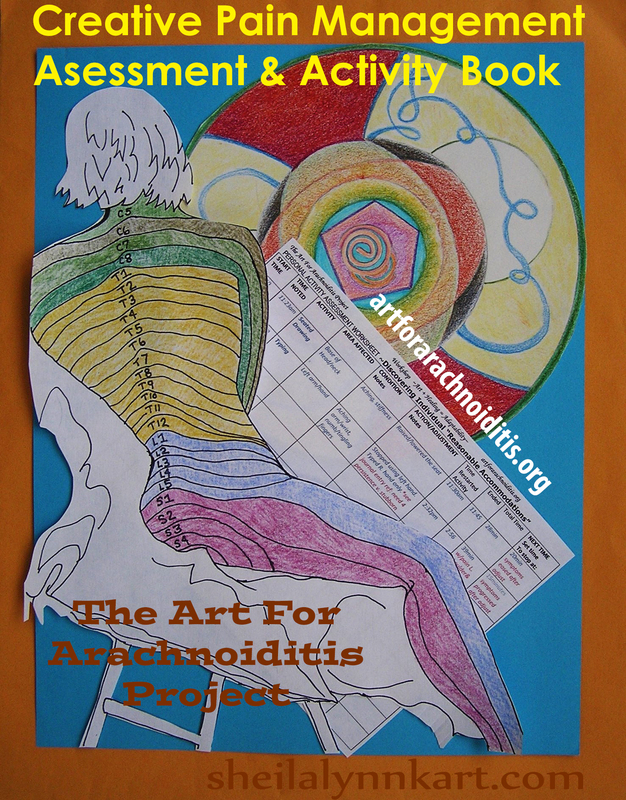 This Independent Publication of the Art For Arachnoiditis Project combines Healing Art Activities, Art Journaling and Pain Journaling into one book of self discovery that also works as a communication tool for tracking pain triggers, making adjustments, and developing personalized adaptive accommodations. Why? What could be the benefit(s) of a tool like this? 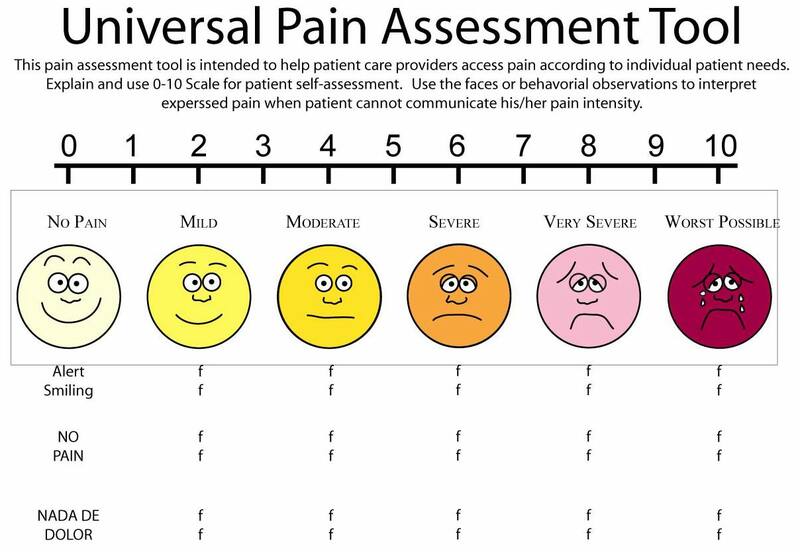 “On a scale of ONE to TEN, (ONE being the least and TEN being the worst) how would you rate your pain today?” Although these Universal Pain Assessment Tools are certainly a good place to open this conversation; it is really only the proverbial tip of the iceberg for Spinal Arachnoiditis Survivors. There is NOTHING “universal” about the arachnoiditis experience except for the existence of pain. Each time I am asked these questions I have to ask for clarification. Do you mean the pain in my ears? head?, neck?, legs?, abdomen?, pelvis? hands and feet? Which part of my back are we measuring on that scale today? I often need an individual rating for each of these regions. It is rare for the practitioner or assistant to take it beyond that initial question. Not to mention, each person interprets “10” differently. For me, it gets a “Ten” when I lose control of bodily functions (i.e. pain so bad it makes me vomit) another person might rank “Ten” as pain that makes it hard to breathe… It’s very subjective in a world which relies on inadequate objective terms. Inspired in part by a request from Terri Lewis ~” I’ve got an idea for the next arachnoiditis project…A coloring book of body parts combined with a pain diary and functional deficits or adaptations list ..Chronic pain patients can use it to communicate to their treatment providers and family members. 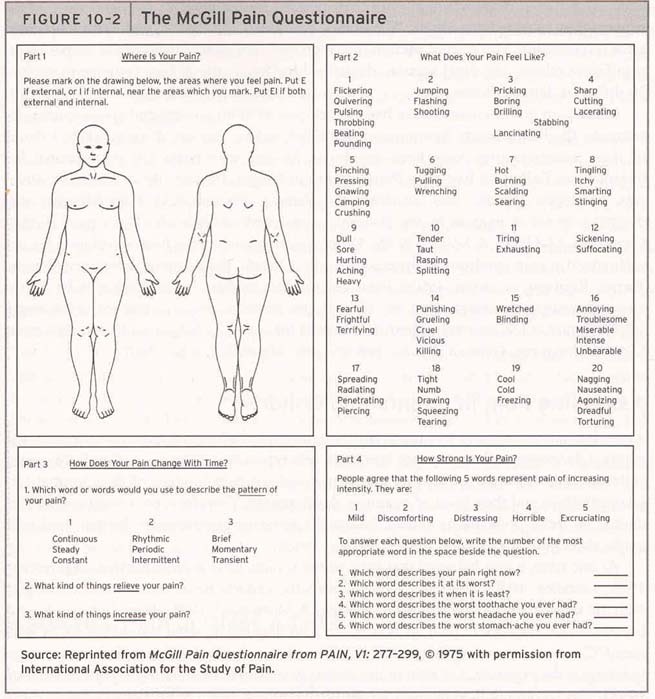 Like the notebook that goes back and forth to school in the kids backpack McGill Pain Scale +” ……the activity book combines Terri’s idea with my own ideas about the benefits of healing art activities and keeping a journal. I have found the best results when I combine writing and drawing as a way to keep track of what is working for me and what isn’t…and simply to vent about those processes. Journaling is a safe place to explore the healing process. It is a very private experience. For that reason, pages intended to be shared with others (i.e. your practitioner) will be perforated for easy removal/copying. From the Workshop/Independent Adaptive Art Activity for the Survivors’ Exhibit and Presentation, I have an assessment sheet to help people identify what IS working for them. It is also included in the perforated pages of the book. “Private pages” contain journal prompts for entries, activity suggestions, activities to do IN the book (including five Mandala-making pages provided by Gail Alexander ) , and other creative opportunities to explore personal healing and methods to adapt for survival. and other forms of Creative Expression by Survivors. With your help we promote Healing through the Arts and Arachnoiditis Awareness & Prevention. Thank you for your support.